It's tempting to make the joke: "It's coding like it's 1999! ", but as we talk about in this episode, that's not really true. 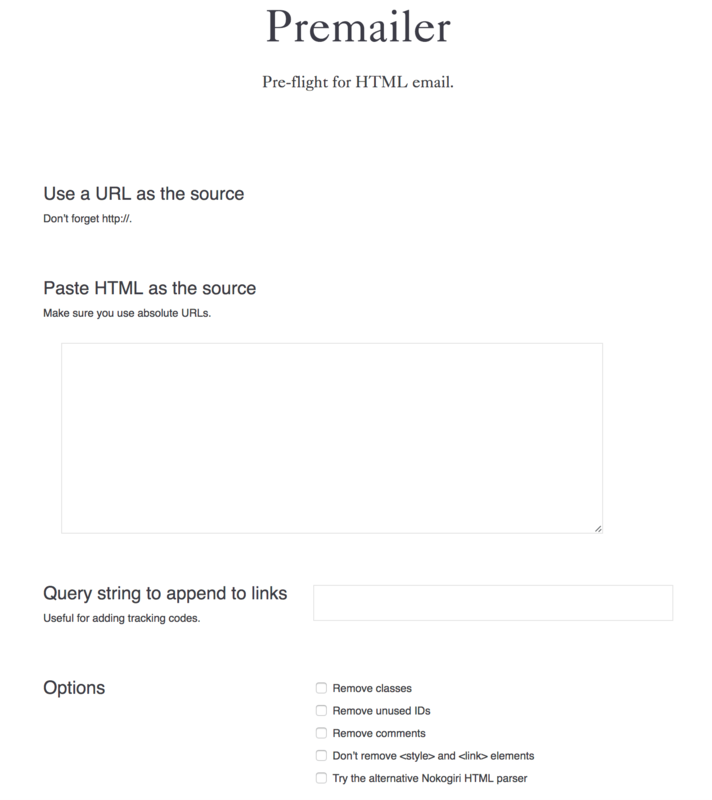 You can create an email with just HTML. I'm sure quite a lot of HTML email is created this way. Open code editor, create HTML email, send HTML email. I know I'm tempted by this and go this route a lot, especially when creating an important one-off email. 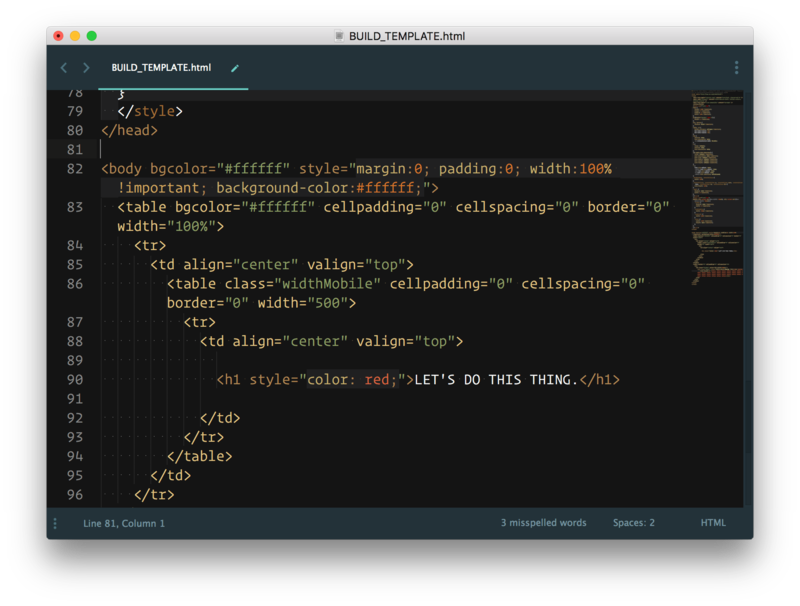 It's still creating by hand and hand-authoring HTML, but you can reach for HTML email templates. This is probably a very good route for most us, because of how tricky HTML email can be to get right. Fortunately, a lot of the hard work of figuring out nice and simple email templates with functional layout and type has already been done. 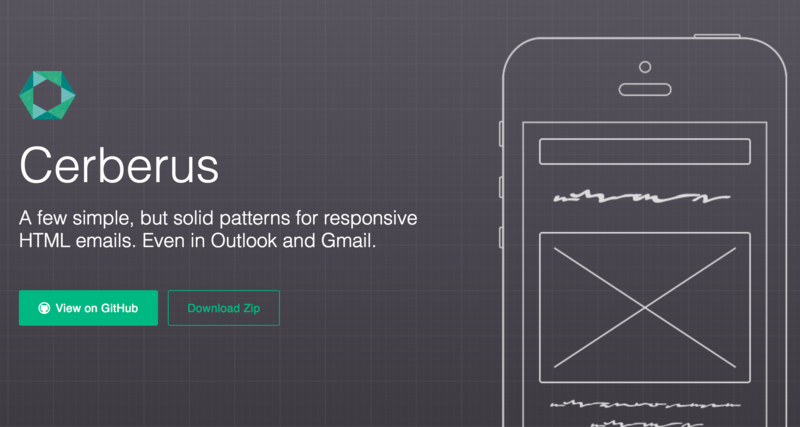 Cerberus: "A few simple, but solid patterns for responsive HTML emails." MailChimp has Email Blueprints on GitHub. They haven't been touched in 3 years though, and I'm not sure if that means they are missing any new/big/important techniques in HTML email development or not. It's just not always possible to use tools like this for all the emails you send. They are usually cost prohibitive for really giant email lists, and not really built for transactional email. 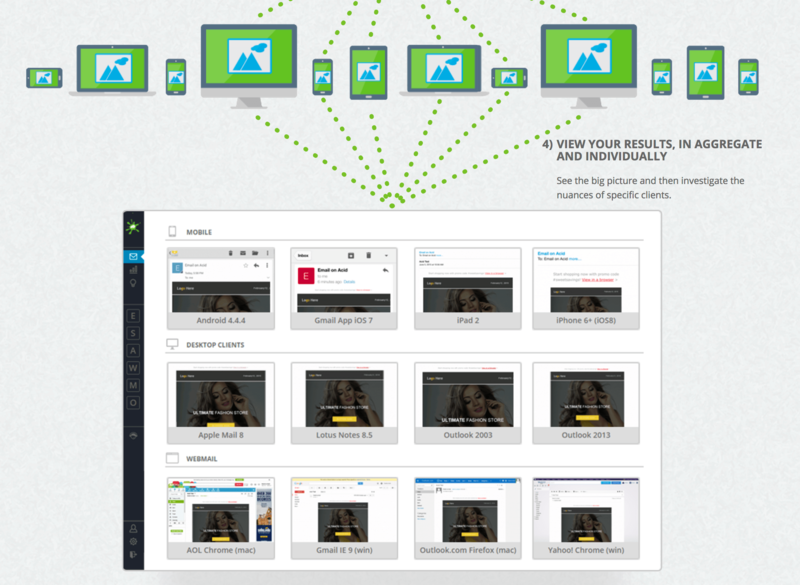 Analytics is usually a feature that comes with these tools that do the sending. That's true of these email APIs along with the build-and-send apps. I always assumed this was absolutely 100% required for HTML emails, but it isn't really. Most email clients support a <style> block in the <head>. That means you can ship CSS without having to inline it. Even when that is supported though, you need to think about which features are supported. Like just because a style block is supported, it doesn't mean border-radius necessarily. Even that red mark above is out of date, as Gmail does support style blocks now. So inlining CSS might be going away ultimately, but I imagine there are some email clients that still need it, and if it's part of a build process anyway, I guess it can't hurt. This is awesome, thanks for sharing. Another tool deserves to be mentioned here is https://beefree.io/ you can create easy and beautiful HTML responsive templates and export them to MailChimp and others. Wow this is great stuff. Thank you! Hey Chris, the red mark on the comparability chart is correct, you can’t have Style blocks in the Body. They work in the Head like normal, but gmail will strip out any Style block not in the Head. This entire issue is not related to inclining though, and is something that will probably not come up often. It is worth noting that for POP/IMAP versions of gmail, CSS still needs to be inlined. Great article. Good exposure for the email devs out there!! Worth mentioning ElasticEmail with the sending tools. I had to check the prices of everything I could find recently and they came out the cheapest, even when adding a dedicated IP. Thank you for sharing this. I’ve been looking for an email client just like this with an affordable dedicated IP. Thank you! I think you can consider this tool : http://edmdesigner.com/ The interface looks old, but it’s the best wysiwyg app to create a highly compatible responsive email template. The gain of time is really considerable. It’s interesting to read of the mighty struggle web developers have writing HTML nowadays. After 13 years of doing it myself, I wasn’t aware. Those of you on a Mac also need to check out the app we’re building – Mail Designer Pro – a native Mac app for creating newsletters (think Sketch for emails). Keep on keepin’ on and doing rad stuff. Worth adding Pure360, Intercom and Sensorpro to the email tools for the UK folks -we like their new designer a lot and good tech support. Someone who works for this product sent me an email.